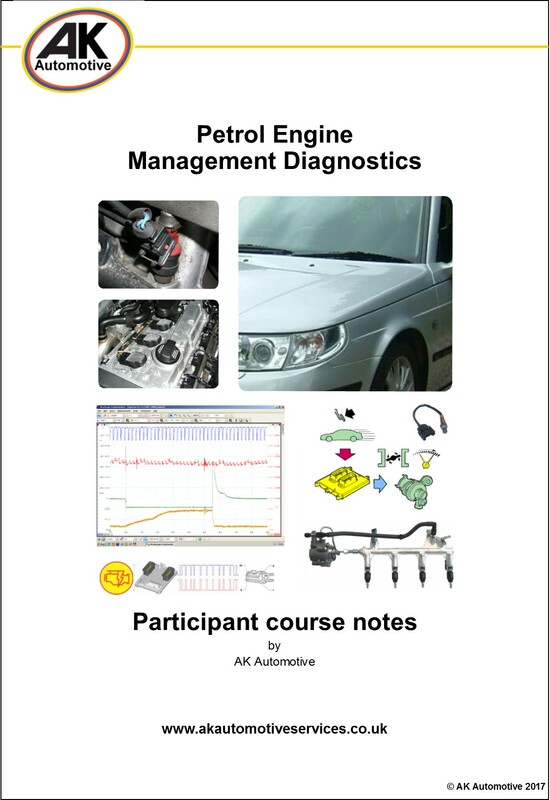 Petrol engine management diagnostics is a comprehensive, two day training course. It is aimed at vehicle mechanics, technicians and apprentices at all levels. The course covers petrol direct injection and conventional manifold injected fuel systems. It explains in detail engine management technologies and system control functions. During the course you will learn about the different engine management sub-systems and system variants. 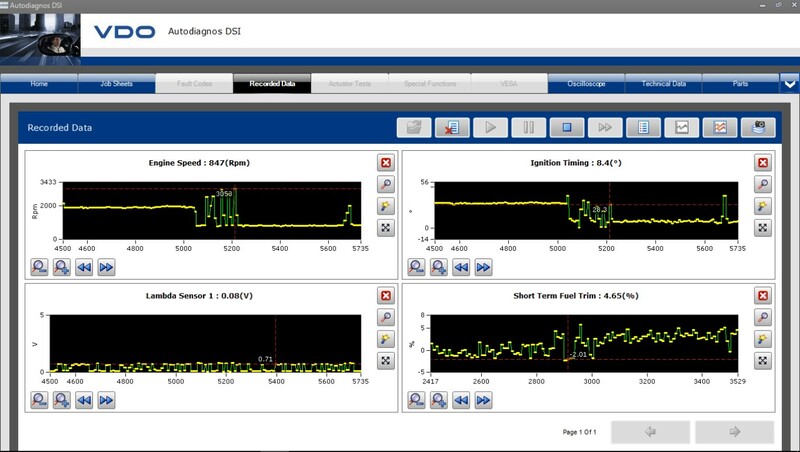 You will learn how to carry out cost effective diagnosis using the scan tool, oscilloscope and various test instruments in conjunction with wiring diagrams and available technical information from Autodata. The course covers capturing and analysis of live data, evaluating fault symptoms, how to carry out preliminary checks as well as more in-depth diagnostic tests and explains what to look for. 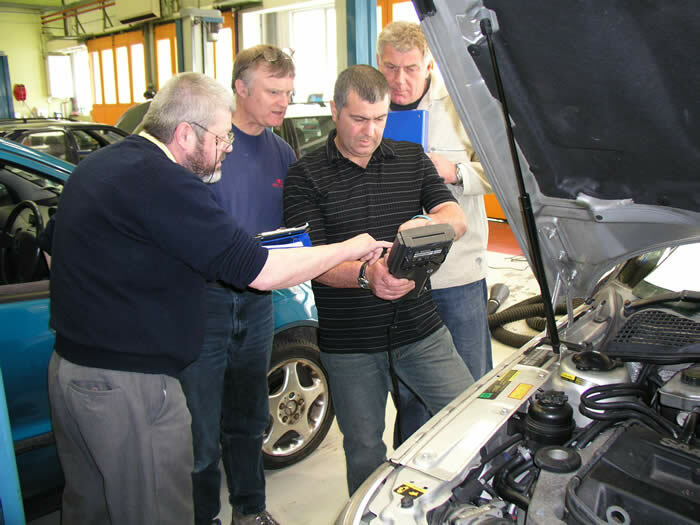 The course comprises workshop sessions on live vehicles supported by technical presentations, discussions and case studies of vehicle faults. By the end of the course, you will have gained a detailed working knowledge of modern integrated petrol engine management systems. You will be able to apply what you have learnt to carry out cost effective diagnostic repairs to your customers’ vehicles. At the start of the course, you will receive a detailed set of course reference notes which are yours to use during the course and to take away at the end. Assessment is on going throughout the course and at the end of the course, you will receive a Certificate of Professional Development from AK Automotive in recognition of your attendance. They should understand electrical theory and circuit testing techniques, be competent with use of test tools, oscilloscope and scan tool, and be able to read wiring diagrams. PC skills are useful at this level.